Our first visit entailed the observation of the picking of the apples and meeting the 3 generations working side by side. 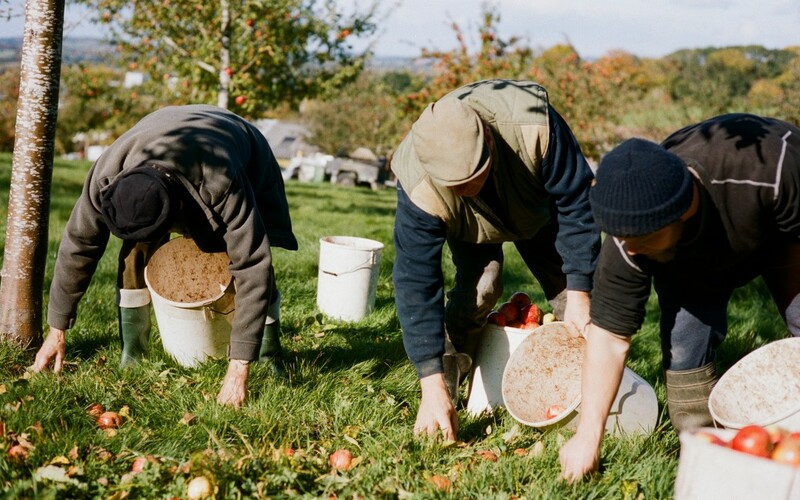 We interacted with the lifestyle of the cider producers and got a real sense of the age of the farm. The eldest of the Wilces family, Maurice, put his son and grandson to shame with his speed and accuracy when picking the apples. The tractor running around the farm was also traditional and years old yet still does the job perfectly. These old style tractors are going back up in value due to their use despite their age as the power to rate ratio is on point with few modern tractors being half as useful. The lifestyle of the farm was long established and conventional with all the apple trees in the orchard growing naturally and freely and not necessarily in lines like modern orchards. This rustic way of life was a pleasure to observe and we truly understood the passion that goes into everything they do.